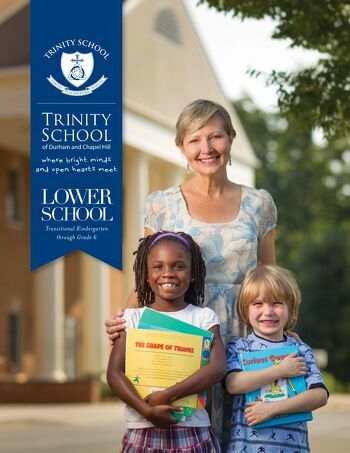 We believe Trinity truly is distinctive, and we hope you are challenged and inspired by what you read. We believe that without love, our studies lose their ultimate context and value and become merely trivial pursuits. The meaning and purpose of education is found in a pedagogy of love. One might call this a “love-across-the-curriculum” program, the defining characteristic of our school culture. Thus, we try to keep these two questions before us daily: Do the students love to learn, and are the students learning to love? One way to unpack our vision is to mention that we actively desire to train the intellect, nurture the integrity, and inspire the imagination of each student. If even one of these three aims were compromised, our school would be less than it could be. As long as we're in the business of education, Trinity will seek to offer rigorous academics, a focus on character development, and a vibrant stimulation of each student's creative impulse. Here is another way of stating our aims: On the one hand, we are a craftsman's workshop. And on the other hand, we are a learner's playground. We believe that the process of learning is a special craft, and it requires a disciplined, thoughtful approach in order to acquire the important tools needed to build a life of wisdom. Each classroom is a workshop, the teacher being a master learner, and each student an apprentice in the craft. Hard work requires sweat, but also brings joy. We believe that there can be a kind of winsome playfulness in our schoolwork. And so our learning tends to be multisensory, experiential, and unhurried. It is vital that while academic progress is being made, the children are successful also in enjoying their precious childhood. At the end of the day, Trinity is not about us, it is about God. In everything we do here, we want God to be seen clearly for who he is, the majestic Creator, a personal Friend, the loving Reality that literally holds all things together. As you peruse our web pages, please take the time to take a good look at our curriculum, teacher bios, after-school club opportunities, and other information you'll find. We hope to see you soon on our campus. The foundation of the Lower School is, in a word, LOVE... love of God, love of neighbor, and love of truth, beauty and goodness.